I love to use fresh ginger in a lot of my cooking. Not only is it good for you, but it brings quite a unique flavor to many dishes. I can’t count how many times me grabbing for a ginger root in the produce section of my local market, has stuck up a conversation with someone on whether or not I was going use the entire root before it went bad. This is when I let them in on my very simple secret…FREEZING. Many folks may already know this, but I am sure there are still a lot out there who aren’t aware that you can actually freeze fresh ginger. The best part—it is probably one of the easiest things to freeze. Step 1: Take the entire fresh ginger root and place it in a freezer-safe zip-lock bag. Step 2: Seal the zip-lock bag tightly, making sure that you’ve left little to no air in the bag. Step 3: Place the bag into your freezer (you can also label the date on the bag, if desired). 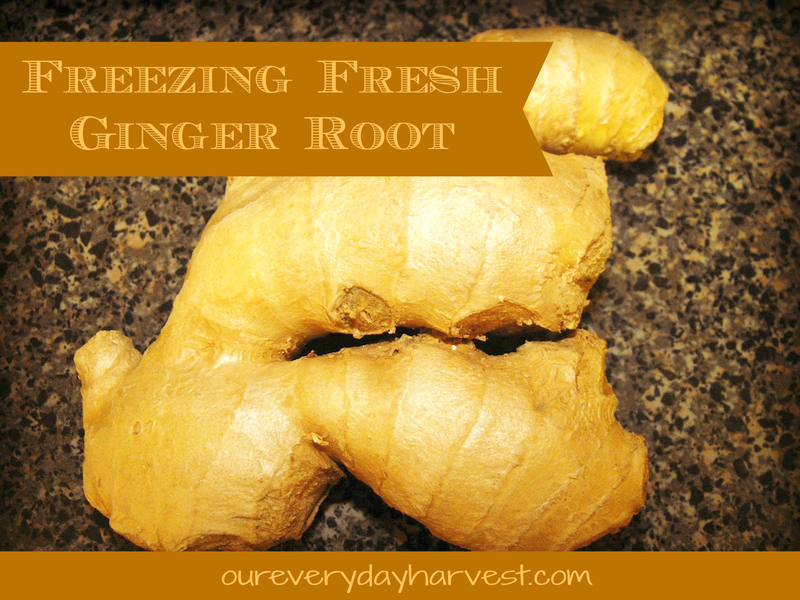 When you are ready to use the ginger, there is no need to even thaw it. You can use a potato peeler if you wish to remove the skin (it comes right off). Depending on what you are going to do with the ginger, you can slice it with a knife or use a grater to mince it (what I usually do). Afterwards, just throw the remaining ginger root back into the freezer. As long as you keep the bag airtight and sealed properly, the frozen ginger will last quite a while. The longest that I’ve ever kept mine in the freezer was about eight months. Well, that’s pretty much it! You've just learned the basics of freezing ginger and how to use the frozen portion. Simple, right?! I am a stickler when it comes to waste, especially if it’s food. Not only does this method help with that problem, but it is a moneysaver, because you are getting the most out of your purchase.